26 Jun 2017 Santa Clara - Volvo Cars and Autoliv are teaming up with NVIDIA to develop advanced systems and software for AI self-driving cars. The three companies will work together along with Zenuity - a newly formed automotive software development joint venture equally owned by Volvo Cars and Autoliv - to develop next-generation self-driving car technologies. Production vehicles built on the NVIDIA DRIVE PX car computing platform are planned for sale by 2021. "Artificial intelligence is the essential tool for solving the incredibly demanding challenge of autonomous driving", stated Jensen Huang, founder and CEO of NVIDIA, who discussed the initiative during a keynote address at the Automobil Elektronik Kongress. "We are building on our earlier collaboration with Volvo to create production vehicles that will make driving safer, lead to greener cities and reduce congestion on our roads." 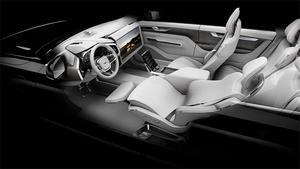 Volvo Cars, Autoliv and Zenuity will use NVIDIA's AI car computing platform as the foundation for their own advanced software development. Hakan Samuelsson, president and chief executive of Volvo Cars, stated: "Our cooperation with NVIDIA places Volvo Cars, Autoliv and Zenuity at the forefront of the fast-moving market to develop next-generation autonomous driving capabilities and will speed up the development of Volvo's own commercially available autonomous drive cars." Jan Carlson, chief executive of Autoliv, stated: "With NVIDIA, we now have full access to the leading AI computing platform for autonomous driving. Autoliv, Volvo Cars and NVIDIA share the same vision for safe, autonomous driving. This cooperation will further advance our leading ADAS and autonomous driving offerings to the market." The NVIDIA DRIVE PX system enables full 360-degree, real-time situational awareness and uses a known high-definition map to plan a safe route and drive precisely along it, adjusting to ever-changing circumstances. The system also performs other critical functions, such as stitching camera inputs to create a complete surround-view of the car's environment.